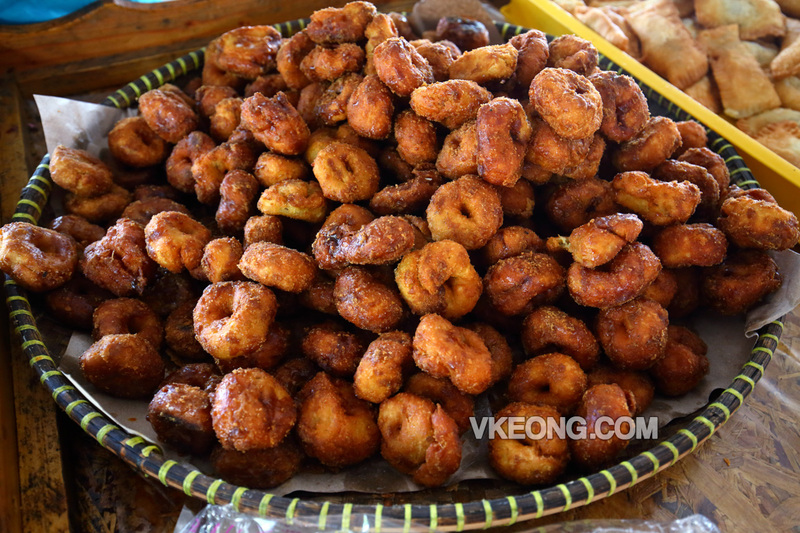 Kuih Keria is a unique Malay style donut that is more commonly found in Melaka. It is basically deep fried sweet potato dough covered in sweet Gula Melaka glaze. Depending on the recipe of choice, sometimes honey and a mix of rock sugar and caster sugar are used instead. When done right, the donut is slight crispy on the edges, fibrous but soft on the inside.